Age UK South Lakeland are an independent charity who work with local older people to help them retain their independence and exercise real choice in their lives. The Alzheimer’s Society are a membership organisation, who work to improve the quality of life of people affected by dementia in England, Wales and Northern Ireland. Asthma UK work to stop asthma attacks and, ultimately, cure asthma by funding research an d scientists, campaigning for change and supporting people with asthma to reduce their risk of a potentially life threatening asthma attack. The British Heart Foundation are a charity dedicated to the fight against heart disease. CADAS provide drug & alcohol services to individuals, family members & communities to support recovery. Campaign Against Living Miserably, or CALM, is a registered charity based in England. It was launched in March 2006 as a campaign aimed at bringing the suicide rate down among men. Cancer Research UK is a cancer research and awareness charity, they fund research and provide a wealth of information for people affected by cancer. 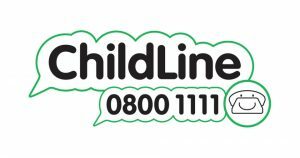 Child Line is a free 24-hour counselling service for children and young people up to their 19th birthday in the United Kingdom provided by the NSPCC. Diabetes UK are devoted to the care and treatment of people with diabetes in order to improve their quality of life. They have a wide range of products and services designed to help you manage your diabetes, whatever support you need. Cumbria Partnership NHS Foundation Trust have compiled a directory of services available in Cumbria with contact details, some of these services allow you to self-refer. If you have a recent problem with your eyes – such as sore eyes, red eyes or visual disturbance, the Community Eye Service is a free NHS service available from a number of local opticians. Epilepsy Action is the UK’s leading epilepsy organisation and exists to improve the lives of everyone affected by the condition. First Step is part of Cumbria Partnership NHS Foundation Trust and provides free, talking therapies to adults in Cumbria. They can help with a range of common mental health problems including mild to moderate depression, anxiety disorders (such as chronic worry, panic attacks, health anxiety and obsessions), mild bulimia, anger or sleep problems. Growing Well are a mental health charity, an organic farm and a training centre. They are the only mental health charity in the UK that combines mental health recovery work with the operation of an organic growing company. Guide Dogs for the Blind provide mobility and freedom to blind and partially sighted people. They also campaign for the rights of people with visual impairment, educate the public about eye care and fund eye disease research. The Kendal Directory is designed to be of practical use to anyone with a concern for dementia, whether they have had the diagnosis themselves, are a carer, or wish to help a friend or neighbour. It contains information about some twenty organisations. Macmillan Cancer Support are Europe’s leading cancer information charity, with over 4,500 pages of up-to-date cancer information, practical advice and support for cancer patients, their families and carers. If you require transport to/from your hospital appointment, this can be arranged by calling the North West Ambulance Patient Transport Service on 08000 323 240. South Lakeland Mind exists to enhance the quality of life of people experiencing mental and emotional distress and to work generally towards the promotion of better mental health and a greater sense of wellbeing. Papyrus are the national charity for the prevention of young suicide. 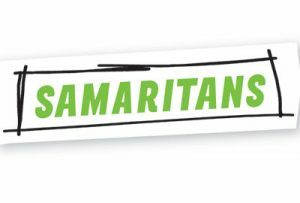 They draw from the experience of many who have been touched personally by young suicide across the UK and speak on their behalf in their campaigns and in their endeavours to save young lives. They believe that with appropriate support and education, many young suicides can be prevented. SAFA are committed to making a positive difference to the lives of individuals who self-harm and to those who support them. Their primary goal is to empower the individual to take responsibility for their own lives by offering counselling and trusting support. Sense is a national charity that supports and campaigns for children and adults who are deafblind. They provide expert advice and information as well as specialist services to deafblind people, their families, carers and the professionals who work with them. They also support people who have sensory impairments with additional disabilities. 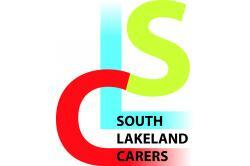 South Lakeland Carers is an independent, local charity who provide a range of services to support and enhance the lives of unpaid carers of all ages throughout South Lakeland; they enable carers to manage their caring roles to their own satisfaction by providing a quality service of information, support and advocacy. Winston’s Wish is the UK’s childhood bereavement charity. We support children and their families after the death of a parent or sibling. They are a specialist provider of support for children bereaved through homicide and suicide, as well as military families who have been bereaved. Young Minds is a charity championing the wellbeing and mental health of young people. They are driven by the experience of young people and create change so that children and young people can cope with life’s adversities, find help when needed and succeed in life.